“The Master” makes it six-for-six for writer and director Paul Thomas Anderson, who follows “Hard Eight”, “Boogie Nights”, “Magnolia”, “Punch Drunk Love” and “There Will Be Blood” with his most ardent and ambitious movie yet. Anderson keeps a tight lid on his work so that audiences can approach his character-based dramas with a sense of discovery. Fair enough. 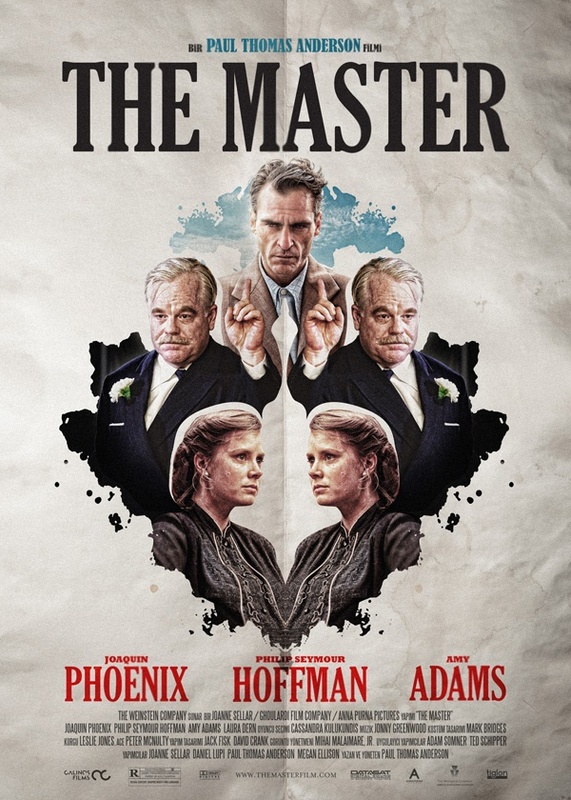 But be assured: “The Master” is one of the best movies of 2012 — startling, innovative, hugely funny and powerfully, courageously moving. Seeing it is like running three marathons in a row. You feel so pummeled it’s hard to get your head clear. Make the effort. What throws you at first glance emerges, after you put the film back together in your head, as a master plan. My advice to approaching “The Master” is to sit back and let it engulf you. Anderson’s primary focus is the complex relationship between a charismatic self-promoter named Lancaster Dodd (a brilliant Philip Seymour Hoffman) and a lost soul still suffering the emotional scars of World War Two. Freddie Quell (Joaquin Phoenix, never better) is a strange, frustrated person who stumbles into Hoffman’s world quite by chance and stays because he has nowhere else to go. We learn that Hoffman is the founder of a movement called the Cause, which consists of helping people relive traumatic events from their past and maybe past lives so they can clear their souls of toxicity. The actors are perfection, starting with Hoffman, who makes a terrific “Master” by inspiring people to follow his teachings. Amy Adams as Hoffman’s wife, is flawless as usual, and inhabits her role with a fevered urgency that explodes during a confrontation with her husband. In a blazing performance, Phoenix is a revelation, fully deserving of the shower of superlatives coming his way. Whether he’s beating a guy up for being really skeptical of The Cause or having sexual fantasies, notably his master dancing among naked female disciples. Phoenix boils with the chaotic energy of a wounded animal. He’s devastating. Anderson has made a movie of constant astonishments, and even if it doesn’t always pay off, he takes risks that make you hopeful about the future of movies. His “Master” is a near miracle. Lovers of formula and straightforward storytelling will probably hate it. Screw them. In terms of acting, imagination and rule-busting experimentation, “The Master” is a masterpiece. Philip Seymour Hoffman is just amazing, like Joaquin Phoenix.